In early 2016, Jerry Seinfeld decided to put three cars from his extensive car collection up for auction. One of those models was a 1958 Porsche 356 A 1500 GS/GT Carrera Speedster, and it is kind of a big deal. The car you’re looking at in the pictures is Chassis No. 84908 with Coachwork done by Reutter. It was a late production model and was one of just 151 examples built. 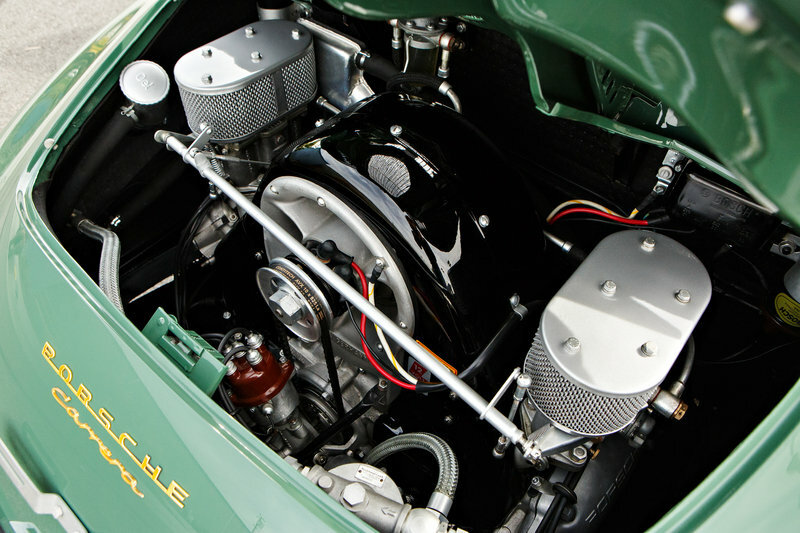 Making it even rarer, is that it is one of only 13 Speedsters – and the only Carrera Speedster – to be finished in Auratium Green. 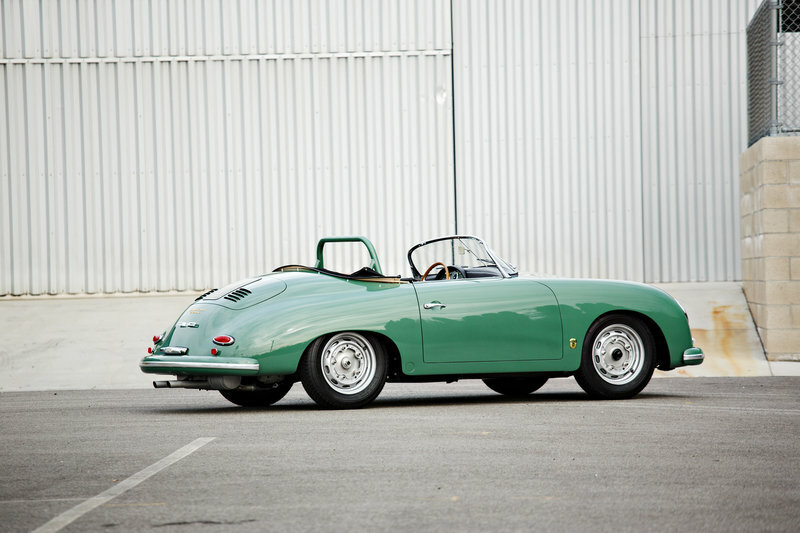 This example was recently restored to its original specifications and, in turn, has won itself a few Concours wins including the Best in Class honors at the Quail Motorsports Gathering and the Annual 356 Club Dana Point Concours d’Elegance. This particular 356 A went under the hammer at the 2016 Amelia Island and changed hands for more than $1 million, making it one of the most expensive 356s in history. Keep reading to find out more about it. 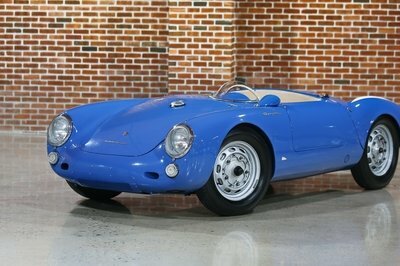 Updated 03/14/2016: Jerry Seinfeld sold his Porsche 356 A 1500 GS/GT Carrera Speedster at the 2016 Amelia Island Auction for the amazing price of $1.54 million. 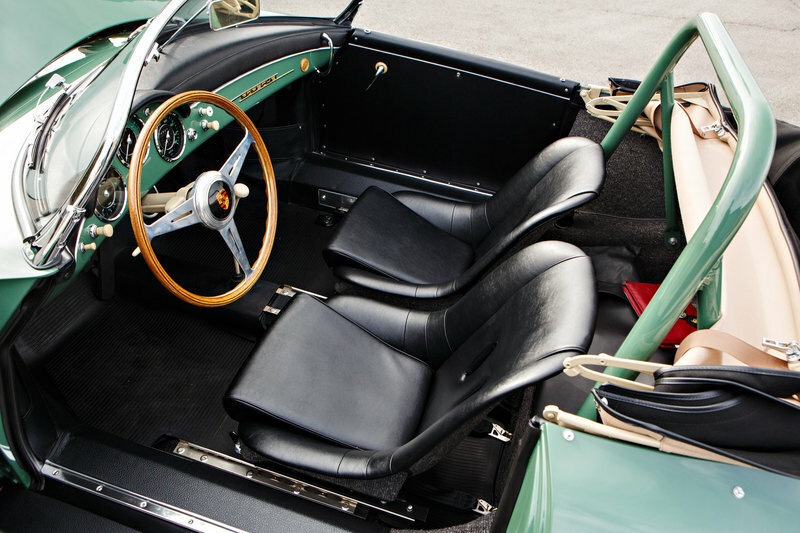 Continue reading to learn more about the 1958 Porsche 356 A 1500 GS/GT Carrera Speedster. The GS/GT was a purpose-built car designed specifically for the track. This means that it took on a lot of lightweight parts. Things like the doors and rear hood were made of aluminum. Bumper brackets were also lightened for the GS/GT, and no undercoating was applied to the undercarriage to help reduce weight. These track based beauties were identifiable by the louvers in the rear hood and a quick-access hole in the fuel fill door up front. We don’t have specific weight numbers, but we do know that these late-model 356 GTs were significantly lighter than previous models. On the inside, you’ll notice there are a lot of amenities left out on the GS/GT – again, this is mainly to serve as weight reduction. For instance, instead of your standard door panels, simple panels were installed instead. Another weight saving feature was the use of aluminum seat brackets for those rather bland, but function bucket seats. Not a lot can be said about the seatbacks, but those seat cushions look comfortable enough. As you can see, this particular model was restored quite well, with the lower portion of the dash painted in the same finish as the exterior. Porsche was even nice enough to throw an “oh crap” handle on the dash for the passenger, should the drive hit one of those track corners a little too fast. 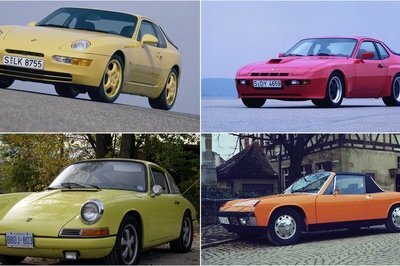 These cars earned the name “Icebox” because the GS/GT models were devoid of any heater – yet another way to reduce the overall weight of the car. The 1.5-liter was also fitted with a stronger transmission than other models, making it suitable for true track performance. This car is fitted with engine No. 91015, which is known as Porsche’s Type 692/0 engine. It is a 1.5-liter mill that consisted of four, roller bearing camshafts. Non-GT models came equipped with plain bearing cams, which is why the 692/0 is so special. The 1.5-liter was also fitted with a stronger transmission than other models, making it suitable for true track performance. 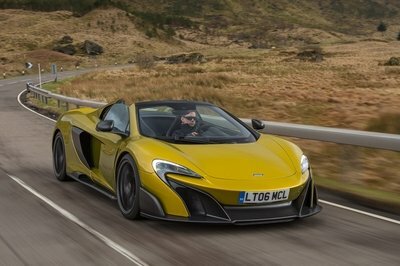 The car came from the factory with sports exhaust and an extended long-range fuel tank up front. Front braking included rotors that were 10mm thicker than standard and had cooling scoops to help accommodate for constant braking on the track. To the rear, the torsion bars were modified at the factory to provide a bit of negative camber. Other major refinements included a larger steering box and stronger front spindles. The car is perched on two-piece wheels that have alloy inserts, further reducing weight. We don’t know the official price paid for this specific model back in the day, but some research has yielded an original price somewhere between $3,000 and $4,000. As for this specific model, Gooding & Company was expecting it to go for anywhere between $2 million and $2.50 million, but the auction ended at a still spectacular $1.54 million, a figure that show how special this example of the 356A Speedster really is. 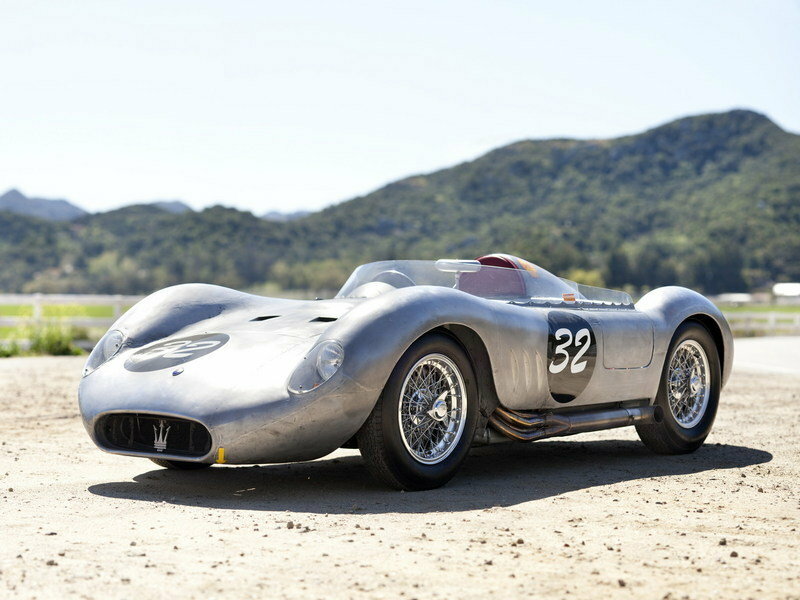 The Maserati came a couple years before the 356A GS/GT Speedster we’ve been talking about, but it was also a car built for the track. It put out 186 horsepower and 147 pound-feet of torque from its four-cylinder engine. The specific model here actually too Best in Class at the Amelia Island Concours d’ Elegance back in 2010, so it too has something to boast about. Current worth is estimated around $2.5 million, which is right where the 356A GS/GT Speedster is expected to go for under the hammer. I think it is crazy that Seinfeld was willing to part with something like this from his collection. Personally, I don’t think I could do it. 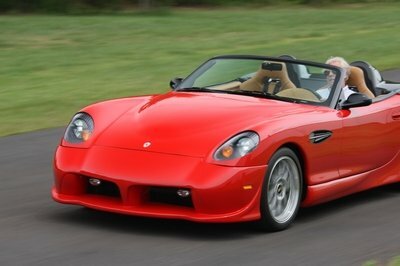 Then again, $1.54 million is a pretty nice payoff for keeping and maintaining such a car. I’m not sure what Seinfeld paid for the vehicle when he obtained it, but I bet it wasn’t that much. Even if you can’t pony up the cheddar to get your hands on one of these beauties, it is well worth it to watch rare vehicles like these at classic car events all over the world.